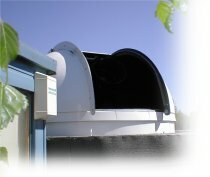 If a telescope is not required to be portable then a fixed installation offers a lot of advantages. Of course a scope left outside is going to need some protection against the weather. The 3 common options are roll off roof, roll off shed, and a dome. The disadvantages with a dome can be the relatively high walls require that the scope can still see over them, and of course it looks like a dome! Advantages. When in use it protects the scope and observer from the wind. Its good at blocking local light pollution (glare). Looks like a dome! 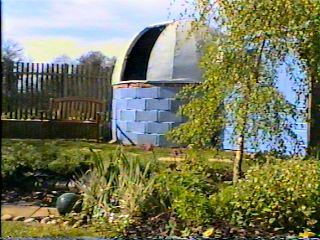 Diy domes are not particularly difficult or costly to make. The next pages describe the way I did things.